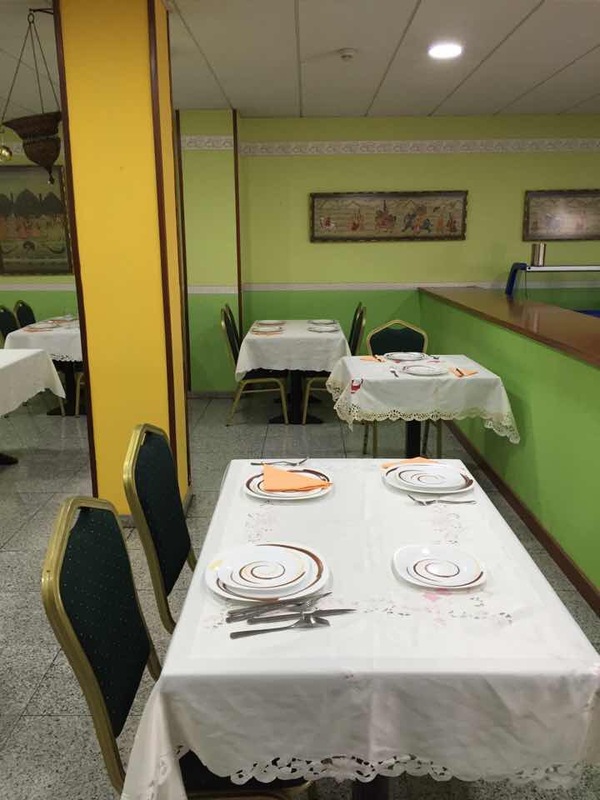 I want to share this restaurant with you because it is one of those places that you can only learn about through word of mouth as there is no way on earth that you can simply stumble upon the Club Hindostánico. To start off with, it is on the second floor in an apartment where most of the wall have been knocked down so it feels more like a loft. This is an actual club where part of the Indian community gathers, that is why at the entrance you will find a corner sofa, a big screen TV…giving it a frat house feel. There are several tables with mismatched tableclothes leading you to believe that you have just popped into someone’s house and they are very generously going to feed you but in this case you will get the bill at the end of the meal. The preparation of the dishes feels home cooked. We like the chilly pakora which are battered hot peppers. Very yummy if you are a spicy fan like me. The paneer cheese rolls are good. 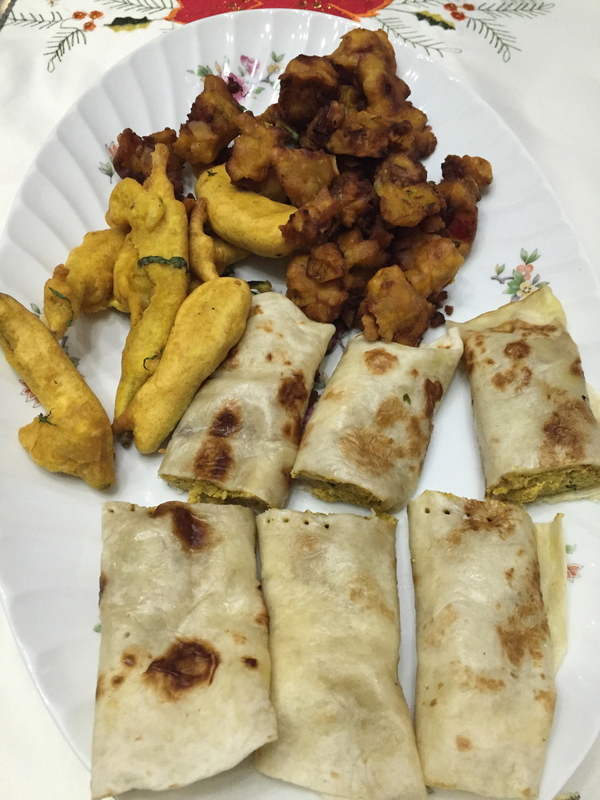 In the photo you can also see the mixed pakora which are battered vegetables. These are very good hot but they don’t travel well so I wouldn’t recommend as take away. 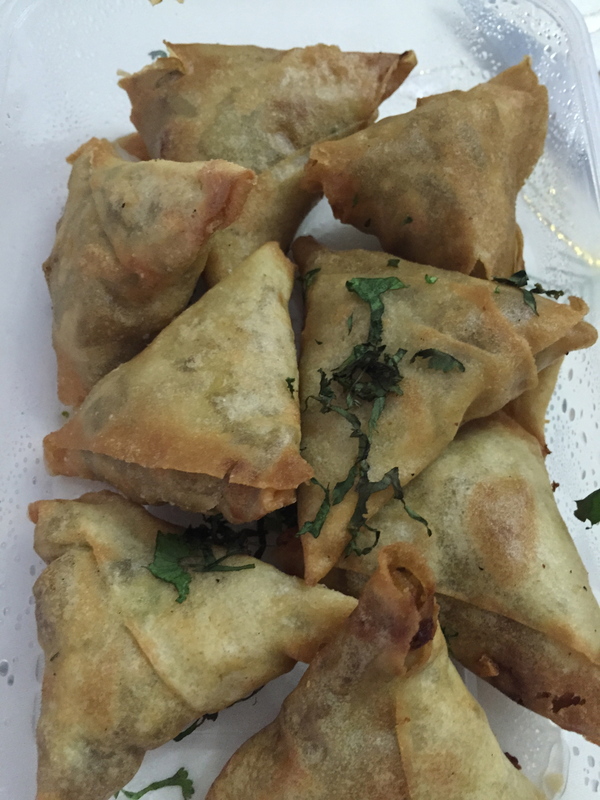 I am also a samosa fan, here we ordered Bhori samora which are filled with vegetables. 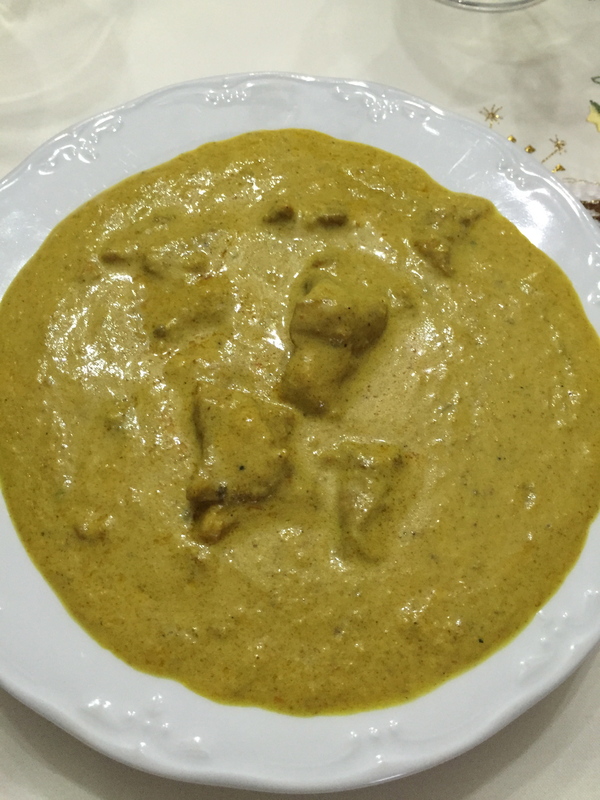 Although I crave spicy, there is something about Mughlai chicken which I really enjoy. I think it has that comfort food quality. You can either eat in the restaurant but you can also order to go. 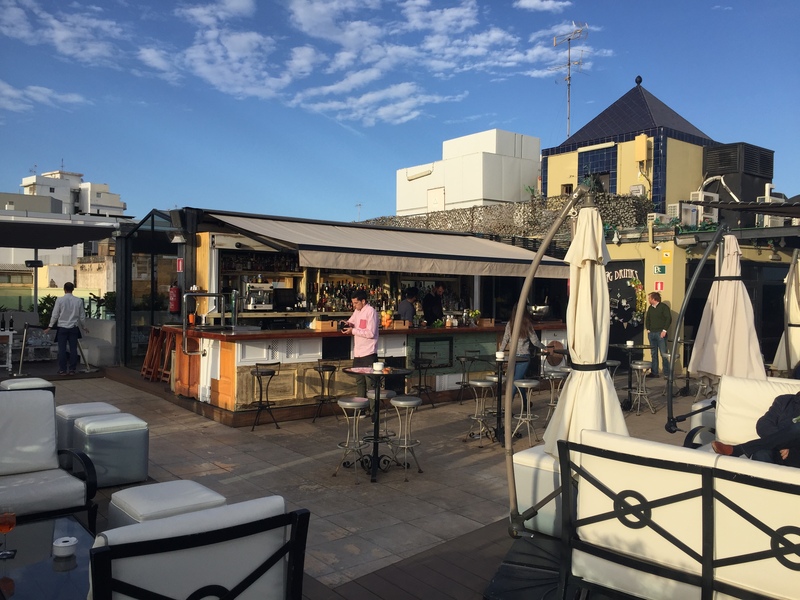 Now that we are submerged in winter with its cold days and colder nights, a drink out on a terrace still seems like a faraway summer’s dream. Depending on where you are in Spain, this is still possible. Down in the Canary Islands the weather is much milder than in the Iberian Peninsula and while we wear our UGG boots and coats, way down south people are lounging their Saturday afternoons away with a GT in hand. 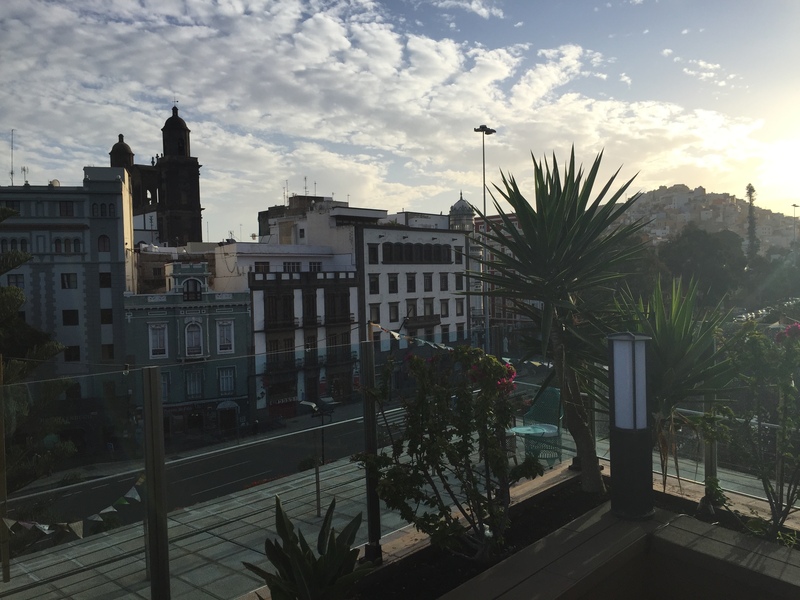 La Azotea de Benito, located on the second floor of the Monopol Shopping Center, has some great views of the older part of the city. Open for both afternoon and night drinks.